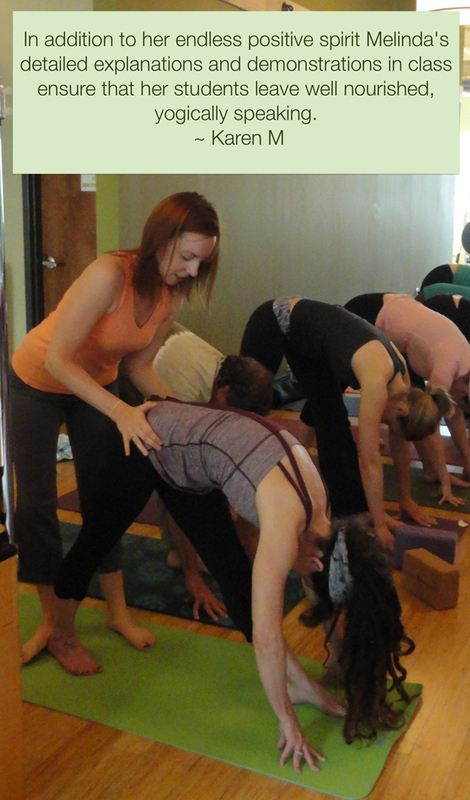 Schedules Varies.- Mixed Level, Yoga Basics, and Yoga 2. Please click to view the complete Y schedule. I teach alignment based hatha yoga in a fluid style infused with a spiritual theme made practical for everyday living. Which is to say, I keep you safe while moving at a reasonable pace to experience precision, harmony and grace in your body, mind and heart within the broader context of life. I lead immersive experiences designed to probe and understand some of the more esoteric, philosophical and powerful aspects of the practice. I weave in the ancient wisdom of ayurveda for an overall experience of wellness beyond the mat. I help you learn to release tension and trauma in your body. I seek to help you (and me!) truly learn to embody spiritual beliefs and values in every part of your being and have a tangible experience of the sublime that feeds and nourishes you in every moment. All Classes are Hatha Yoga ~ Hatha literally means “to strike” or “to strike a balance” between “sun” (ha) and “moon” (tha), light and dark. In its broad sense hatha yoga refers to any yoga class that is based on physical movement or postures (asana). Just about any public, movement based yoga class you take is considered “hatha yoga” regardless of the style (Anusara, Iyengar, Vinyasa Flow, Prana Flow, Yin etc.). Yoga Basics ~ An introduction to the fundamentals of yoga designed just for the brand-newbie or anyone wanting a step-by-step review of the basics. Mixed Level classes are appropriate for physically active students of all levels of experience. Alignment principles are explored in detail through a wide range of standing poses, hip openers, backbends, handbalances, and inversions. Sequence and posture variations are offered so the practice is appropriately challenging for students of all levels. This class encompasses a more vigorous sequence of postures, giving students the opportunity to deepen their understanding of the alignment principles through the practice. Focus is on further exploration of the standing poses and hip openers while also introducing deeper backbends, handbalances, and inversions. This level is appropriate for students who have some general yoga experience or are in good physical condition.